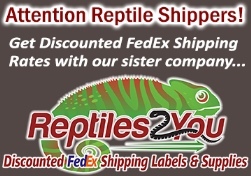 • FedEx is our preferred carrier - great rates and great service! 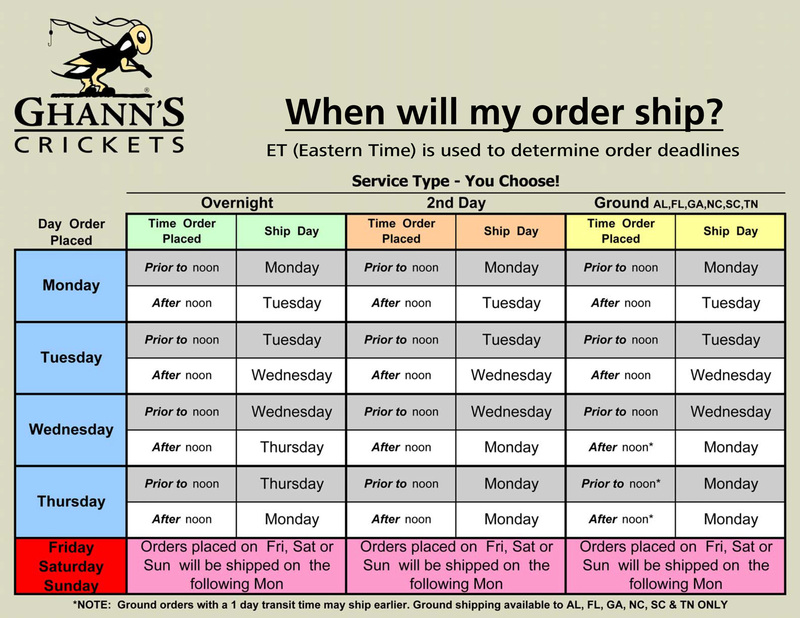 What day your order ships depends on what day and time you place your order, and what service you select. Click HERE for a table that explains our shipping days. Overnight shipping is available to all states in the continental USA, and we have negotiated very good rates with carriers. Unlike many providers, we DO pass along discounted rates to you to save you money! Ground shipping is available ONLY for the following states: AL, FL, GA, NC, SC, TN. NO GUARANTEES apply to anything ALIVE shipped via Ground service - EVER! See Our Guarantee page for more details. Private carriers rarely provide adequate space for special shipping instructions on their delivery labels, and even if they do the unfortunate truth is such instructions are rarely read and nearly never followed. Therefore, we cannot accommodate special delivery instructions. US Postal Service delivery is not as reliable as private carriers for live products. Packages cannot be tracked during the delivery process and are sometimes completely lost. Therefore we do not ship via the US Postal Service. All web orders receive an e-mail confirmation (invoice) when your order is placed and a shipping confirmation email containing tracking information. (Orders not placed on our website also get a shipping confirmation if you have provided us with your e-mail address). Post Office Box addresses are not acceptable for delivery. Neither FedEx nor UPS will deliver to a PO Box. We must have a private carrier approved address (a physical street address). Small orders are shipped within the 48 contiguous United States ONLY (we currently do not ship small orders to Alaska, Hawaii, or Puerto Rico, or internationally). We DO however ship LARGE orders to destinations outside the US (see "International Orders" below). We do ship large orders via air freight to customers in many countries around the world. If you are outside of the continental United States and wish to place a large order (over 100,000 crickets per shipment) contact our International Sales Department for a price quote on large volume cricket orders. You can reach the International Sales Department by e-mailing websales@ghann.com and placing "INTERNATIONAL" in the subject line of your e-mail. Most carriers charge a pretty hefty fee when delivery addresses are wrong, and FedEx is no exception - as of early 2015 FedEx's Address Correction Fee is $12.50 per package. PLEASE be careful when placing your orders! If you enter a wrong address resulting in an Address Correction Fee, we must pass that charge along to you.